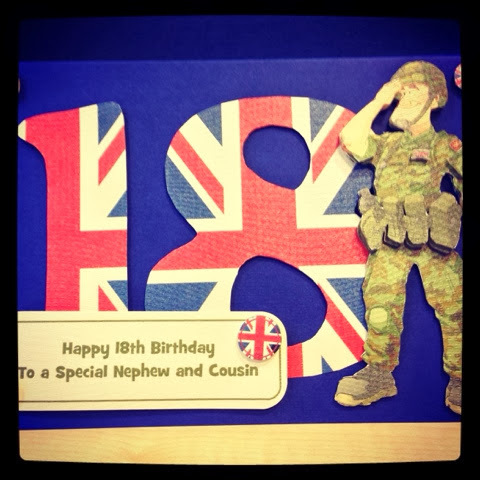 Happy Wednesday to you all x today I am sharing a card I made for an 18th birthday. The chap in question had just passed his Marines exam so the theme army was the brief. The card I made was from a fabulous designer, Gordon Fraser and his dude designs can be found at Craftsuprint. I decoupaged the Dude and hand cut a number 18 using a Union Jack paper. Male cards can be a nightmare but a simple brief can sometimes manifest into a card to be proud of! I really enjoyed making this card and will no doubt use the dude again!